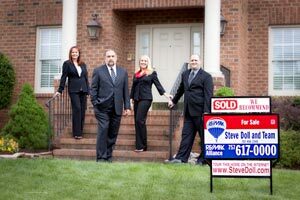 Virginia Beach Property Management, Virginia Beach Property Managers, Virginia Beach, VA Property Management Companies. With its low crime rate, affordable cost of living, and great school system, this doesn’t come as any surprise to us. People who live here experience it first-hand every day. Located on the Atlantic Ocean and at the mouth of the Chesapeake Bay, Virginia Beach is a part of what is commonly referred to as the Hampton Roads metropolitan area. This area includes the surrounding cities of Norfolk, Chesapeake, Suffolk, Portsmouth, as well as Hampton, and Newport News. Virginia Beach is also listed in the Guinness Book of records as having the longest pleasure beach in the world. However, at 250 square miles, the city itself goes well beyond the beach. So, home buyers, please don’t assume if you’re buying property with a Virginia Beach zip code that you’re always going be within walking distance of the ocean or the bay. You can drive more than 45 minutes beyond the beaches and still be in Virginia Beach. This is just one more reason you should rely on our experience to help you locate a home that will be suited for your lifestyle and needs.